Portugal is regularly afflicted by devastating Summer wildfires. It is a complex social issue that can only be solved by exemplary land management. Our partners Montis dedicate themselves to understanding fire. 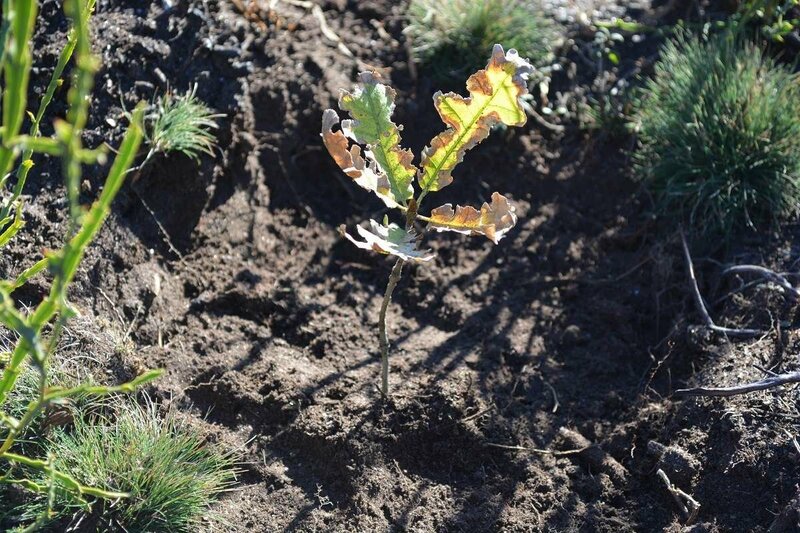 Together we are working on a native oak woodland restoration project, which aims to create fire resilient ecosystems, which pose a lower risk to local populations and wildlife. 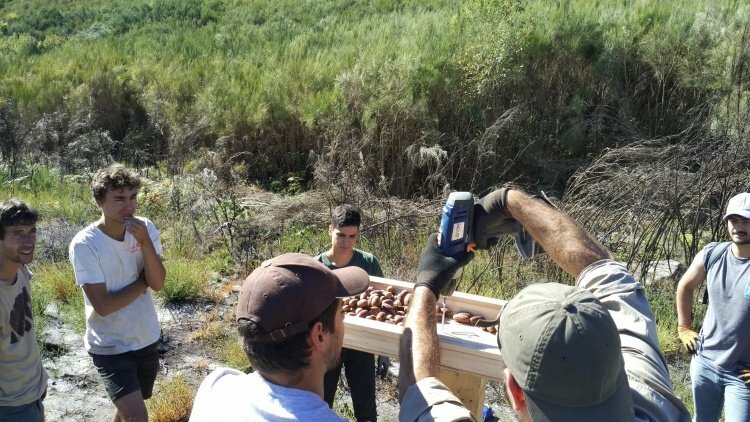 The philosophy behind this work is to integrate natural regeneration with land managements practices that help create a better coexistence with fire and its risks. You can learn about the full plan below. ﻿The next batch of 360 photos will be collected and sent out in July! 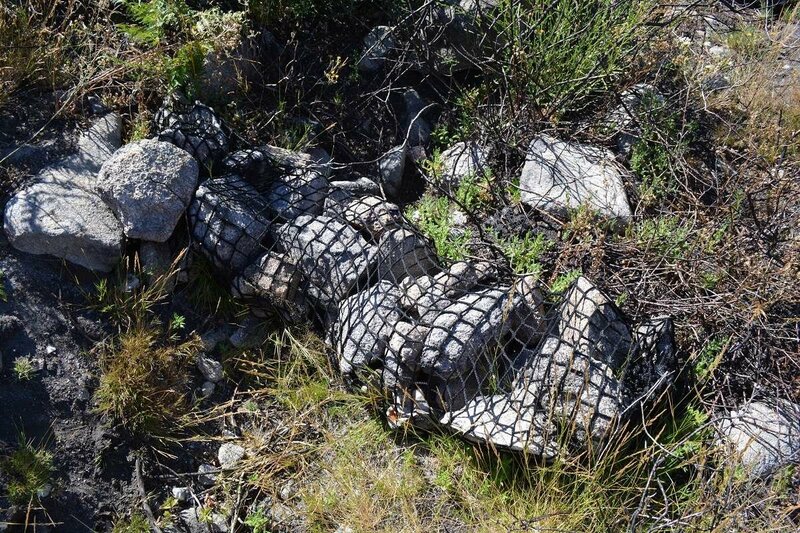 A pioneering land management project in a country plagued by wildfires. 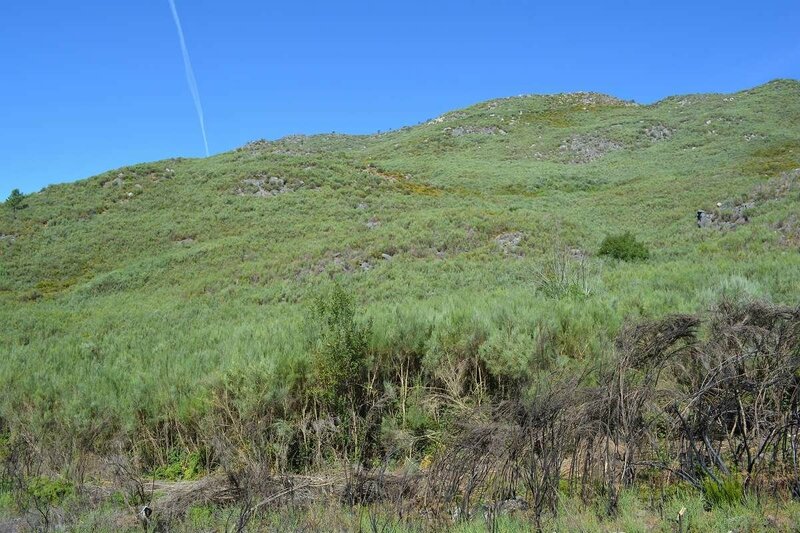 An ambitious 100 hectares situated within the beautiful Serra da Arada; a mountainous region in the centre of Portugal and home to the Vouga river and the Iberian Wolf. These mountain sides were once thriving oak woodlands but were felled and never replanted. As such Portuguese Broom, a very dominant bush like species, moved in and has long since taken a stronghold of the land, choking it of any biodiversity. The Broom that grows tall, dense and dry in the summer months is highly combustible and prone to wildfires. 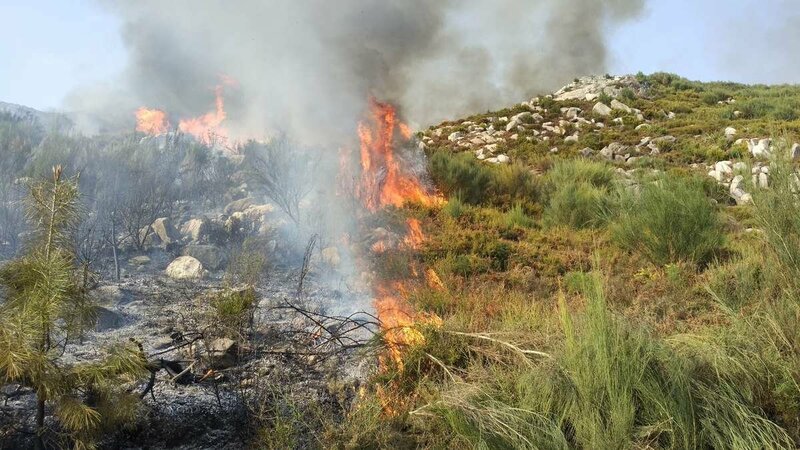 By systematically burning the impenetrable 3 – 4 metre dense Portuguese Broom we are making space to manage natural processes increasing biodiversity and reducing fuel availability for future wildfires. 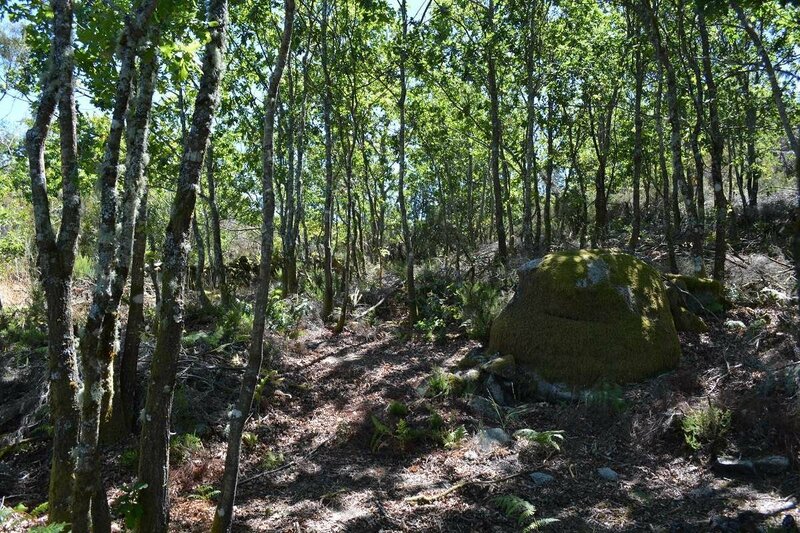 Once the Portuguese Broom is removed we plant a variety of native oak trees (Portuguese Oak, Holm Oak, English Oak and Cork Oak) as well as strawberry trees, hawthorn and juniper to add further biodiversity to the native woodland. We and our partners are also installing a series of bird platforms. Atop these platforms, large piles of acorns will be left for Jay birds to ‘steal’ and scatter. Jays are famous for burying acorns to later retrieve in the winter. A Jay can hide up to 3000 acorns during an autumn, and those it forgets to recover will help in our reforestation efforts. The controlled fires also reveal natural water lines that we can divert or dam to ensure sediments accumulate and add vital nutrients to the soil as well as creating habitats for an abundance of aquatic life. Montis is a Portuguese NGO that focuses on sustainable land management practices. We work with their great team in our reforestation project and this land management project.